DURO DOT brick is appreciably more resistant to rapid fluctuations in temperature than DURO brick although slightly less dense. 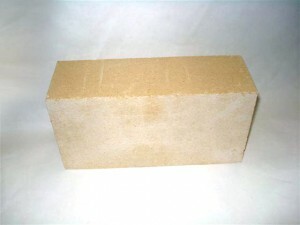 The refractoriness of DURO DOT brand brick is unusually high for acid-resisting material. It is well adapted for service in processes employing temperatures as high as 2100 degF in conjunction with nascent gases and acid fumes. It has exceptionally high mechanical strength and abrasion resistance.